Today we’d like to introduce you to Penny and David DiLoreto. Penny and David let’s start with your story. We’d love to hear how you got started and how the journey has been so far. Our story is actually a retirement story, sort of. We had always been involved in business of some sort. Penny was in the corporate world as a corporate controller, business owner, and even dog breeder of Boston Terriers. David had only done one thing, he went to work as an electrician’s apprentice worked for the same company for 34 years and retired as President and Chief Operating Officer. At age 55 when David retired, the family went on cruises, vacations, and traveled in general. After having done that for a couple of years, we thought we might like to do something day to day and started a business literally in our backyard. The business we chose to start was offering friends and neighbors AKC Star Puppy and Canine Good Citizen Classes. Over the years, Penny had become a Veterinary Assistant, Animal Behaviorist, Professional Dog Trainer and Author of the book “Gonna Buy Me a dog… (and This Book! ): People Training For Dogs”. This all happened during her years of breeding Boston Terriers. After a few years of having clients come to our home for training, we decided it was time to look for a place where we could set up shop in a brick and mortar. We hunted around and found an office-warehouse facility in Escondido where we began offering training and dog grooming in a dog-park atmosphere. Our original name was “K9 Dog Park” later we changed the name to K9 Resort and Spa. During her back-yard business years, Penny took up Canine Agility with her beloved “Peanut”. Peanut is a Boston Terrier that was the runt of the litter and expected to die. He weighed only two ounces at birth, was much smaller than the other litter mates and the breeder called Penny to see if she would take him because the breeder felt the puppy would not make it more than a couple of days. Penny’s experience as a Veterinary Assistant and the commitment to get up every two-hours for round-the-clock feedings helped produce a miracle as Peanut not only survived by thrived. Peanut went with Penny everywhere which was necessary for several weeks after birth. However, the bond developed, and Penny and Peanut started the Canine Agility classes. Believe it or not, Peanut became an Agility-Dog Champion winning several medals and titles. During this time Penny noticed that there was really no place to practice agility in the Escondido area. The only option was for industrious dog owners to build their own course, but many people didn’t have the means or know-how to do that. So, she asked David to build a piece of equipment here and a piece of equipment there and ultimately, they had their own Agility Field Setup in their back yard. This was all the pre-cursor to K9 Dog Park. At K9 Dog Park, the idea was to offer an indoor practice area with coaching for folks and their dogs wanting to do Agility and Rally-Dog competition. By this time there were just too many people coming to our home to continue there, needed more room for Agility and believed folks wanted to have a place to practice with their dogs all conspired to give birth to the brick and mortar idea. We launched the business at 2750 Auto Park Way, Suite 22, in Escondido on April 1, 2012. Although we invited friends, dog lovers, Agility and Rally-Dog competitors, street fairgoers, etc, eventually it became apparent that the folks who wanted to use an indoor dog park in Sunny Southern California were few and far between. At this point, we were offering a Dog Park where folks could socialize, play with their dog get indoor dog training, and grooming but it wasn’t paying the bills. It was time to make some changes. Like any surviving business, we recognized that the large square footage for training just wasn’t paying enough per square foot to be long-term viable. So, eventually, we decided to drop the “dog park” arena area idea and convert that to Doggy Daycare and Overnight Boarding. This transition forced us to confront issues with permitting and licensing that we had never considered. Today, we offer Overnight Dog Boarding, Doggy Daycare, Dog Grooming, Dog Training both Group and Private, as well as Anesthesia-Free Canine Teeth Cleaning. This suite of services prompted us in 2015 to change our name to K9 Resort and Spa. It started out slow. We got all the permits we needed (or so we thought) and went about growing our business. We went to street fairs, trade shows, door to door, and just about anywhere we thought we might be able to drum up business. 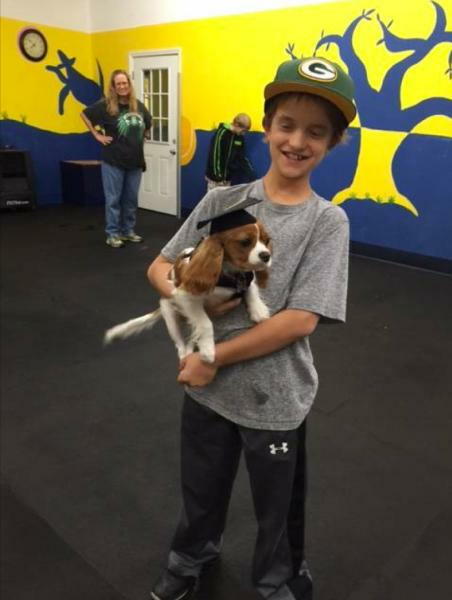 When we started we offered dog training and dog grooming and a dog park atmosphere. In other words, you could bring your dog and just play on toys and equipment indoors for a small fee. In that setting, we offered practice area for dogs being trained in Rally and Agility. We learned the first year that there really wasn’t much demand for these, or at least not enough to pay the bills. Our personal dog was a champion Agility dog and we had quite a few clients, but their practice time was spotty and not enough to pay for all the indoor floor space it took to do agility. So, we did some surveys with our clients and felt that we should shut down the Agility and Rally training and start offering overnight dog boarding and doggy daycare to compliment the dog grooming, and that’s what we did. It may have been naive of us, but we thought our business permit covered these services. We had spoken to the city about it when we got our permit. However, we were wrong, and the City of Escondido came out and wanted to talk to us about why we were boarding dogs overnight without a permit. Well, this created a big challenge. We needed to keep our business going to pay the bills while getting the city satisfied. As it turns out, the City of Escondido did not allow any business to keep dogs overnight UNLESS it was ancillary to a primary business such as a veterinarian. That meant the city code didn’t even have a paragraph or statute to cover us, so we were illegal, so to speak. The City of Escondido planning department and City Council were terrific! We had such great support for our small business concept from Escondido City Council Members Olga Diaz and John Masson and Director of Public Works Ed Domingue. They worked with us to figure out exactly what was necessary and put one foot in front of the other to get the city policies changed so that a business of our type could be conducted in Escondido making us the first such business and paving the way for others. After about six months of work and several thousands of dollars later, our business was finally approved with Permit in hand to conduct overnight boarding, doggy daycare, grooming, and training at our location. With these new service offerings, we didn’t think it appropriate to continue under the name K9 Dog Park. So, we changed the name to K9 Resort and Spa in 2015. So, as you know, we’re impressed with K9 Resort and Spa – tell our readers more, for example what you’re most proud of as a company and what sets you apart from others. K9 Resort and Spa exists to make a positive difference in the lives of dogs and their owners. We specialize exclusively in dogs and offer Grooming, Overnight Boarding, Doggy Daycare, Training, and Anesthesia-Free canine teeth cleaning. 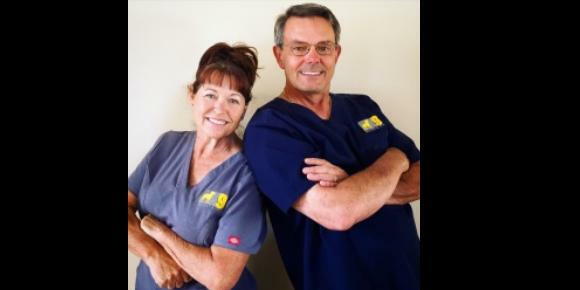 We are probably best known for our people who share our love for animals, our professionalism, the care we put into our work, and the cleanliness of our facility. We are so proud that we have a 5-Star rating on Yelp and we believe that is because our entire staff cares about going the step beyond to please our clients with integrity. It is important to us that we do the job right and have integrity in what we do. Penny’s background with business and animal behavior and David’s background in business operations and marketing make for a unique partnership. Penny knows dogs, their behavior, how to read them, and how to take care of them. This experience and knowledge are infused in the staff at K9 Resort and Spa so that the people employed here are trained and knowledgeable in proper animal care. We are proud to have built our business from scratch, one client at a time. We are proud that our clients appreciate the care and detail we put into our work. We are proud that our clients return regularly for appointments and refer us to their friends. This is all possible because my wife Penny sets us apart from others with her attention to detail, her love for dogs, her tenacity to training, and her compassion for our clients. The City of Escondido has been great to us. Certainly, the City Council has helped us navigate into existence and growth. But the people of Escondido, San Marcos and surrounding cities are also what we love about this area, they are good, wholesome people who love their pets. Being part of the larger San Diego area is also terrific as people have come from Chula Vista, Point Loma, Rancho Santa Fe, Carlsbad, and places in between to allow us to serve them. Anesthesia-Free Canine Teeth Cleaning $190.